(Reporters note: The story below was reported using a video tape of the September 27 public hearing). Activity at the Bullion King Mine in Irwin has drawn the attention of Colorado’s Division of Reclamation, Mining and Safety (DRMS). Never mind that the activity in question has been going on there for nearly three decades. Anthony Corona, who owns the mine, has been slowly developing the site since 1989. Those improvements, however, appeared to DRMS to be more than cosmetic, leading officials to believe Corona intends to re-open and operate the Bullion King. He denies that. Corona’s work at the Bullion King was officially halted at a public hearing held September 27 by the Colorado Mined Land Reclamation Board (CMLRB). The board voted unanimously, yet begrudgingly, that Corona had failed to obtain a reclamation permit as required by law. They imposed a civil penalty of $60,000. That penalty, however, was far less than the $300,000 recommended by the DRMS. Further, Corona will get all but $10,000 of that back if he gets approval for a permit. He has 180 days to comply. Corona, a retired real estate developer, lives in San Pedro, Calif. He first leased the mine property in 1989 and purchased it in 1993. Corona is an 80-year-old Korean War veteran who visits the mine site every summer. Gunnison County assistant community development director Neal Starkebaum said he understands the mine is a hobby for Corona, and that the would-be explorer has no intention of actually extracting silver from the Bullion King. But the DRMS suspects otherwise. However, no silver has been taken from the mine since Corona took ownership, and he swears none will be. DRMS officials’ greatest concern is water quality. Water is being pumped from the mine shafts into holding ponds, which appear to be leaching into a nearby unnamed stream. That stream leads to Ruby Anthracite Creek, which feeds the Paonia watershed. The creek has also been diverted by a few feet to flow around the mine-entry shaft. 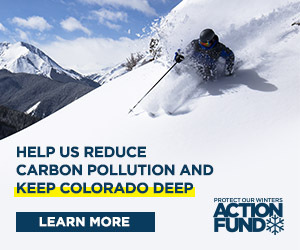 The state’s public hearing on the matter was videotaped, and can be viewed at on the Colorado Department of Natural Resources MLRB Youtube channel. That’s where the following information was obtained. At the hearing, Czapla said the DRMS had inspected the site twice and issued two cease and desist orders, both of which were ignored. Czapla provided an array of photos showing extensive development at the mine, including new buildings, newly reopened shafts, a water and septic system, the diverted creek, piping that leads to the ponds, and a new hydraulic apparatus designed to lower people into the main shaft. Czapla suggested Corona’s failure to respond to any correspondence, his lack of a permit, and his failure to heed the cease and desist notices justify the $300,000 fine. But to hear Corona tell his story, it’s not what it looks like, and the CMLB seemed receptive to that notion. Corona insisted he had not received any of the DMRS correspondence, nor did he see any of the cease and desist notices posted in plain view at the site. The only letter he received was the one requiring him to attend the public hearing. “July 20 was my first visit and my first knowledge of this,” Corona said, referring to a visit to the mine from Starkebaum. Czapla stopped by July 31. “I was working on my roads,” he said. “Dustin told me about the posting that I never saw and the letters that I never got.” Corona gave Czapla a thorough tour of the site, showing him the shafts, the ponds, the buildings, and the water system. “I’ve got nothing to hide,” he said. Corona said development at the Bullion King has been primarily for safety reasons, to keep anyone who wanders onto the property safe and to make it safe for him to go underground and explore the shafts. He gave board members a detailed explanation of the work he’s done to access the different levels of the mine and to explore the shafts safely. He diverted the stream when he opened the mine-entry shaft. That shaft now sports what looks like a giant yellow metal cone-shaped hat, something Corona said he found on the property that works perfectly to keep the opening safe from the curious who might wander onto the property. He explained that in order to access that shaft safely, he had to divert the creek around it, so the shaft wouldn’t be inundated with water. In addition to the ponds, which were there when Corona bought the mine, there was concern about a waste-rock pile on the property, possibly contributing to contaminants leaching into the stream. Corona insisted he hasn’t added to the pile. He’s only used the crushed rock that was already there to improve the roads on and around his property. Czapla confirmed that the pile has actually shrunk. But the ponds are a problem. Czapla explained that pumping water from deep underground into the ponds creates a water quality risk. He said iron stains around the pipe leading into a pond are a common indicator of acidic water, emphasizing the importance of water quality tests, which are a part of the permitting process. He said the ponds may be leaching into the nearby creek. Czapla insisted that, whether the mine is operational or not, activities there meet the statutory definition of mine development, and by law, require a permit. He expressed suspicion over Corona’s exploratory intentions. “The amount of money being spent here seems a little odd,” he said. Corona has until late March, 2018 to acquire a permit for his project at the Bullion King.